Shelley & I would just like to wish every one a very Merry Christmas & Happy New Year. We look forward to another year 2018 of motoring adventures . The next club meeting at the Kilton is Wednesday 10th Jan 2018. Tonight we have found a hotel for the weekend of the 19th to 21st MAY 2018 for our club to visit Shelsley Walsh , Sprite 60 weekend. We are having this also as our clubs weekend away , some members have already booked at a B&B in the area. 5 rooms @ £352-70 per couple Dinner B&B for two nights. If you would like to join us please call the Hotel and Quote SPRITE CAR CLUB and book a room of your choice. I have sent this to the people that expressed an interest in going first , So please let me know if you are taking up a room at this Hotel or NOT so I can open it up to any other members of the club, rooms left. 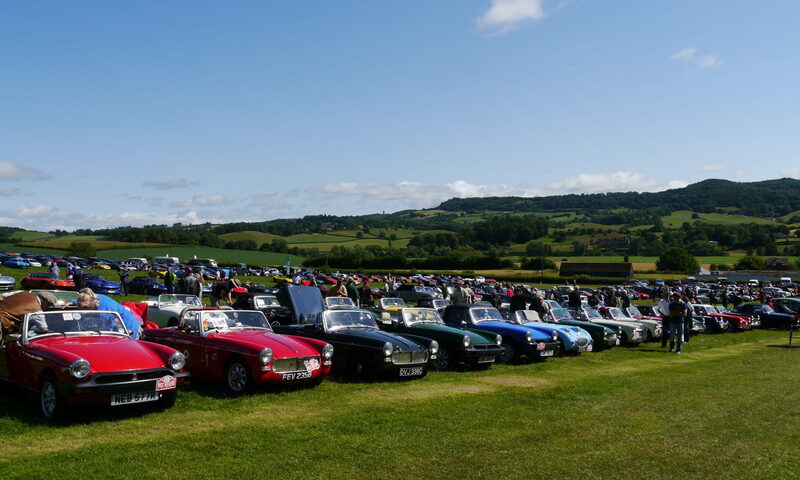 If you decide to attend this weekend, you will also need to book a place with the Austin Healey Sprite 60th Anniversary. Entry form go to : sprite60.org . I do have some entry forms which I can send If you would like. Or collect at Jan Club Meeting. Concours – per car £10 . PLEASE when you have booked or Not let me know . Thank you. Just received this message from Neil Thomas our MASC editor . A thousand apologies, but very late Friday afternoon I was informed by our publishers that due to pressures of the festive season, they will be unable to send MASCOT out until Thursday this next week and so it won’t be hitting your formats until the 15th/16th December. I am bitterly disappointed at this news as I had submitted the magazine to them two days ahead of their requested date. This means it will have taken them over 3 weeks between receipt of the material from me and our receipt of it as a finished product. As per my previous email, I’ll still need material in from yourselves and your members by the 15th. I will have to ensure a very quick turn around on my part for the January issue. Can you let your various area members know please and ask them not to shoot the messenger. In response to this, I have arranged to travel up from Tenby to Cheltenham on Tuesday next, to speak to the publishers to try and understand what the issues are here. I’m hoping to get an improvement in the situation for future issues. Reminder for the Central Area Christmas meal tomorrow (Dec 6th) at the Tame Otter. I have a list of everyone’s menu choices (see me if you have forgotten what you ordered!). There will also be a raffle draw @ £1 a ticket with the chance to win something to drink, chew or smell. Please arrive anytime after 7.30pm for a 8pm sit down. Steve has kindly formulated a Calendar for 2018, but as yet not got many photos to complete , So if you have any photos of interest please send to Steve, mailto: troutbeckkeils@gmail.com. The complete Calendar will be sent out in a format you can print out if you so wish.